Want To Work From Home And Never Be Alone? Running a pub is one of the oldest “work from home” professions. To many, the life of the publican seems like paradise. Spend all day working in a congenial atmosphere, then go upstairs to bed. But is it really that easy? 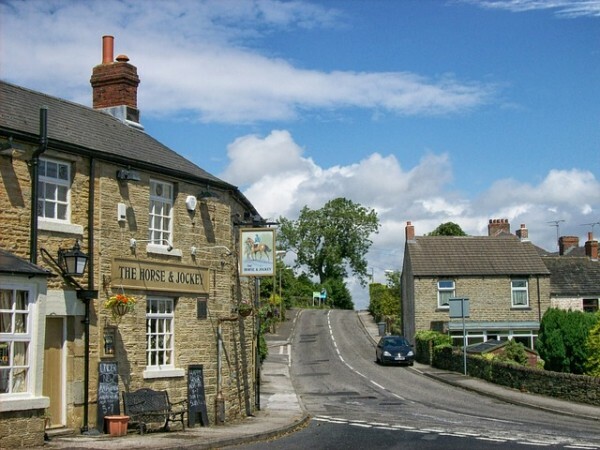 From idyllic local on the village green to city-centre boozer, there is something quintessentially English about the traditional pub and any pub aficionado will have spent at least a few moments fantasising about owning or running a public house of their own. As with most fantasies, the reality is not all sunshine and happiness. While it can be an immensely rewarding career, publicans work long hours in an ever-more competitive environment. And hard-earned profits can soon disappear in the event of an accident, particularly if the publican is uninsured. Public Liability insurance is vital as a bare minimum, but actual or aspiring landlords and landladies are strongly advised to consider a pub insurance package that also provides tailored cover for whatever is needed, including employer’s liability, stock, personal possessions and even business income. With the cover in place and the preliminaries out of the way, what else should be considered for successfully running a pub? There are many ways of running a pub, from owning outright to working as a manager for one of the major chains. In between these extremes, breweries offer a variety of lease options. The degree of autonomy against brewery involvement varies on a case by case basis – at one end of the scale, the tenant is little different from a manager, while at the other, the only real involvement from the brewery is supplying its beer. Most successful publicans started life working for somebody else to learn the ropes. Decide what is right for you depending on your experience and the amount of money you are prepared to invest. Old fashioned pubs where the only food choice is crisps or peanuts still exist, but they are a dying breed. Publicans find it increasingly difficult to do anything more than break even on “wet sales” and in the 21st century, a successful pub needs a successful kitchen. As with any business, it is essential to understand your target market and competitive environment. There are successful pubs selling everything from burgers and sandwiches to a-la-carte meals of Michelin quality. It is all about being in the right place and understanding what your customers want. The family market is a huge segment, and to make money, pubs need to cater for customers of all ages. There are a variety of considerations here, including baby changing facilities, children’s menus and high chairs. Also consider something to keep the kids entertained while they wait for their food – this does not have to be an expensive installation of play equipment in the garden, just the provision of some colouring books and crayons can work wonders. Customers without children will be equally grateful if the younger clientele are quietly entertained rather than bored and unruly! In addition to appropriate insurance cover, it is important to ensure other administrative and regulatory factors are taken into account. Make sure certifications for food hygiene, HSE and fire safety are up to date and that all members of staff have received the necessary training. Chloe Cotton is the editor of The Happiest Homes. Many people forget that most pubs are also somebody’s home, and for some people, they are the ultimate way to work from home.